We understand that tracking your advertising campaign’s performance can sometimes rely upon the reports that we provide, hence we encourage our clients to use UTM tracking for outbound URL’s on our products. Some of our clients already use this method of tracking and doing so allows them to review their statistics at any point during their campaign with us. If you don’t use UTM tracking on your profiles with us, then you are about to find out exactly why you should be using it, and how it all works. In short, a snippet of code is attached to a URL and it gives Google Analytics more information about the traffic. It primarily picks up where the traffic has come from and how it got to your website. UTM tracking can make a huge difference when looking into site statistics because not all traffic is recorded satisfactorily in Google Analytics; with UTM tracking it is almost impossible for the traffic to be recorded incorrectly. When the source of the traffic cannot be identified Google Analytics will tag it as “Not Set” traffic, which isn’t beneficial to you when you are analysing where your traffic is coming from! We use UTM tracking throughout our social media campaigns, as we have previously encountered issues tracking our own traffic from our social media sites. Using UTM tracking will ultimately benefit you as you will be able to see exactly where your traffic is coming from and how much traffic is coming from that source. Setting up UTM tracking is really easy, and can be done here. Once you have generated your URL it will look something like below, depending on what you have used as your URL, Source, Medium and Campaign Name. URL’s in this format should be used on your profile pages to successfully record your clicks in Google Analytics with the correct referrer source and medium. 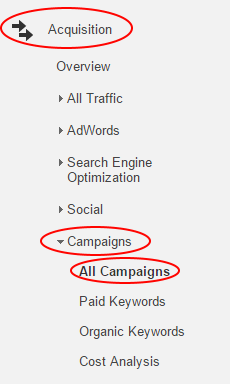 We also use UTM tracking for all of our clients’ social posting; you don’t need to set this up yourself. Here at DEM we will set up your social posting UTM tracking and let you know what you are looking for in your Google Analytics. Here you will find a list of all of the campaigns that have been directing traffic to your website. 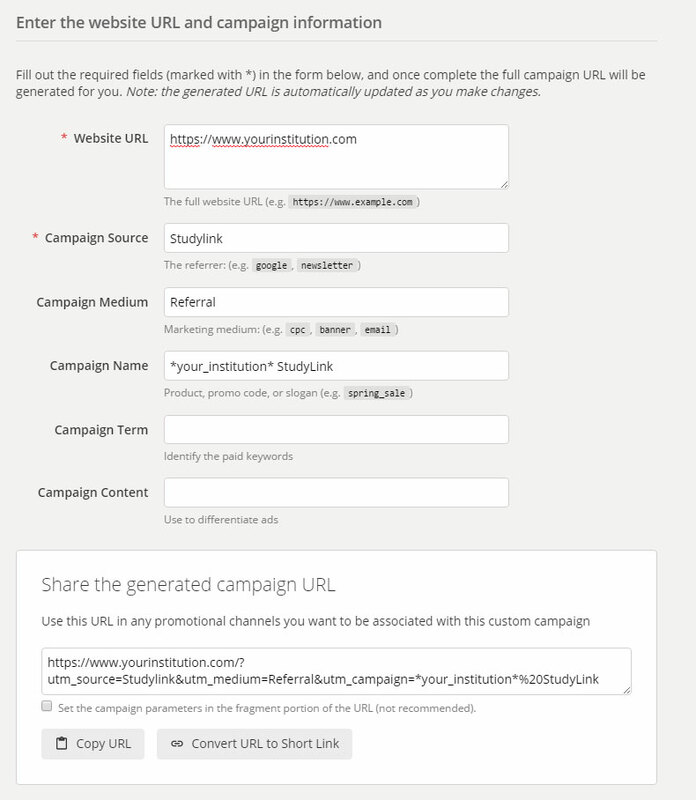 You need to search for your campaign name here; if you used the recommended criteria you can just search for StudyLink. Once you have done this, click into the campaign. You will then see in the Source/Medium column the way in which the traffic got to your site. 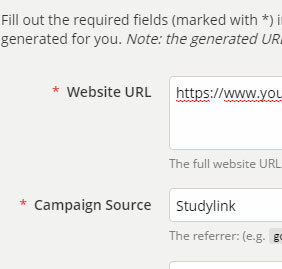 If you have set up your UTM tracking the recommended way then this should state “StudyLink / Referral”. 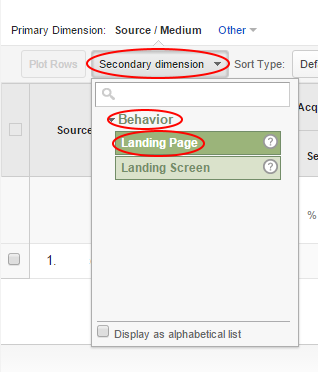 If you have multiple URL’s under the same campaign name you can also view a breakdown of the URL traffic by clicking Secondary Dimension > Behaviour > Landing Page. This will give you a breakdown of where the traffic actually landed on your website. This article should have covered everything you need to know about UTM tracking, but if you have any further questions or queries about UTM tracking you can contact the content team on content@demltd.com.